If you were to poll most DSLR owners, you'd likely find that the majority of them shoot on a camera with a crop sensor. That's because by and large, most budget-friendly and mid-range DSLRs have an APS-C sensor, one that's in the area of 23x15mm, with some variation depending on the camera's manufacturer. APS-C cameras are great for a lot of reasons, not the least of which their price tag, which is often a measurable amount less than cameras with a full frame sensor. Additionally, APS-C cameras have a smaller body because their sensor is smaller - full frame sensors are 36x24mm, meaning they are a whopping 2.5 times larger than an APS-C sensor. But price and body size aside, full frame cameras have their own set of advantages. 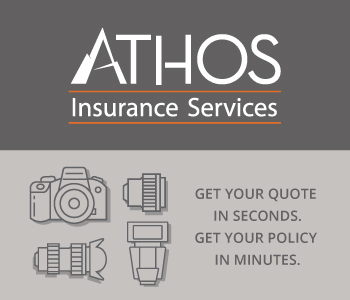 Full frame sensors have larger pixels, meaning they produce images with a higher image quality. They also have larger pixels, meaning that full frame cameras tend to outperform APS-C models in low-light shooting situations. Full frame cameras tend to have more bells and whistles too, making them a versatile option for many photographers. It wasn't that long ago that a full frame camera was out of the question for most photographers, simply because they were cost-prohibitive. 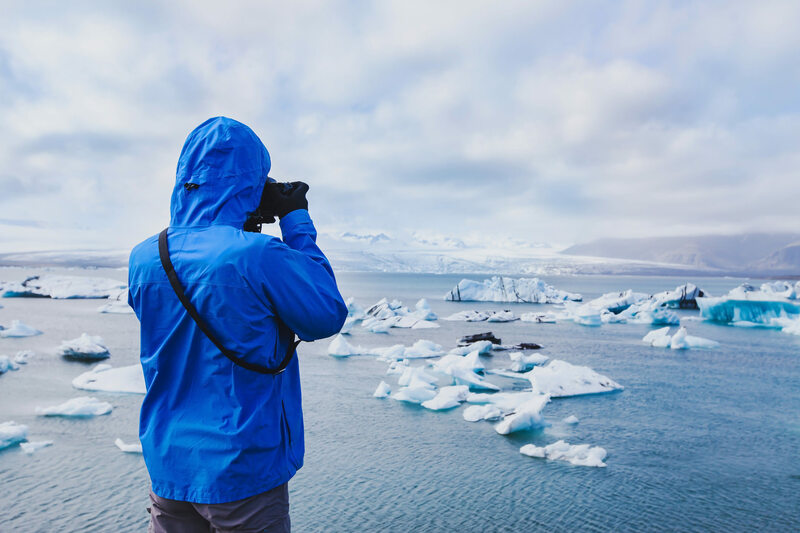 If you're an enthusiast or a hobbyist photographer, you can now choose from a wide selection of full frame cameras, some of which are surprisingly easy on the pocketbook. Let's look at a few of the top models for 2017. We've reported before about the long and illustrious career of the EOS series, and the 5D Mark IV certainly fits in with EOS's reputation as being a solid workhorse. In fact, the 5D series is really what made full frame photography accessible to more than just the pros. 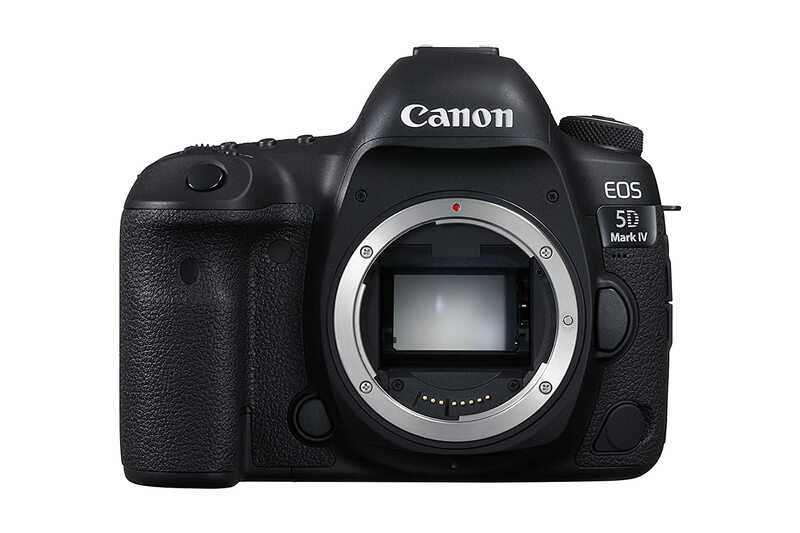 The original 5D was the first truly affordable full frame camera, and the 5D Mark II gave us HD video recording. Now that we're on the Mark IV, Canon has taken all it's learned over the years in the 5D line and made a full frame camera that's just about as good as you'll find. The Mark IV has a 30.4-megapixel sensor that's got an outstanding reputation for delivering sharp, accurate results. Paired with a 61-point autofocus system that's among the most advanced available today, and you've got a recipe for getting some great photos whether your subject is stationary or on the move. Add to that 4K video recording capabilities, and you have a rig that's not just great for still photography, but for videography as well. Read the full Canon EOS 5D Mark IV review. 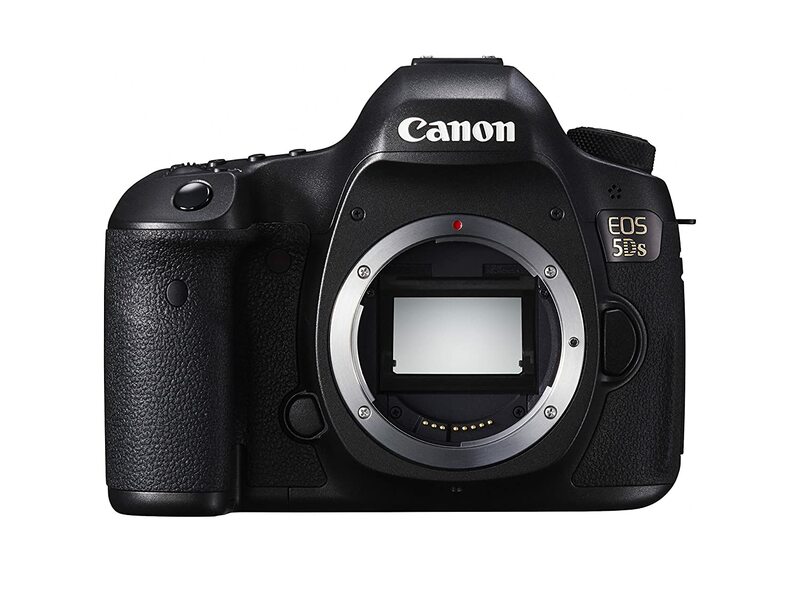 If high resolution is what you're looking for, you can't get any better than the Canon EOS 5DS (or its close cousin, the EOS 5DS R). With that many pixels, you get incredible image quality with detail that will take your breath away. Like other full frame cameras, the 5DS performs very well in low-light shooting situations, with good dynamic range with digital noise that's surprisingly under control for such a pixel-packed sensor. The 5DS also sports the same 61-point autofocus system as the 5D Mark IV, which includes 41 cross-type AF points, so you're sure to be able to obtain focus on your subject in just about any situation. Real the full Canon EOS 5DS review. In terms of sheer versatility, the EOS-1 DX Mark II is at the top of the list. It's an incredibly fast camera with 14fps burst shooting that's a major draw for sports photographers, news photographers, and other professionals that need to capture fast-paced action. Again, the 1 DX Mark II has Canon's venerable 61-point autofocus system, giving it optimal performance when photographing moving subjects. Low-light shooting performance isn't quite as good as the previous Canon models on our list, but the 1 DX holds its own, especially when used within its standard ISO range. 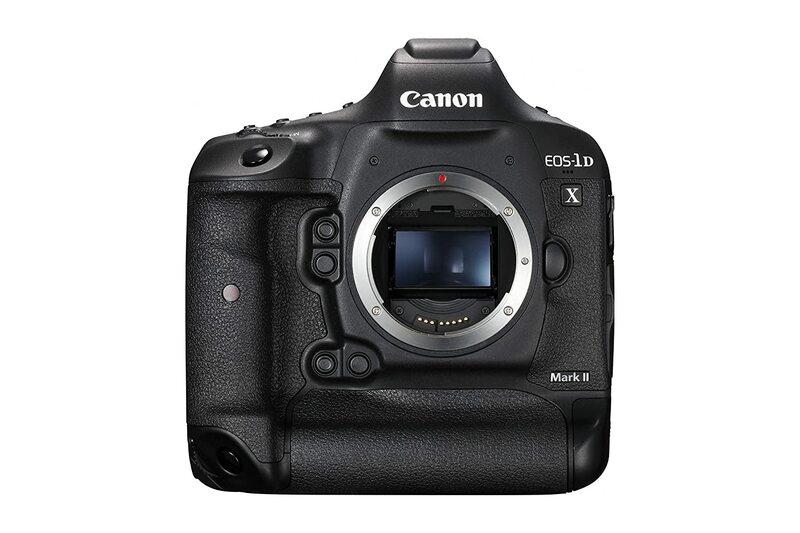 Read the full Canon EOS-1 DX Mark II review. Though the Nikon D810 is getting a little old, it's still one of the best full frame DSLR cameras on the market. That's due in part to its high-powered 36.3-megapixel sensor, which produces images that have incredible detail and resolution. When that level of resolution is paired with a battery that allows you to take 1200 shots, the D810 vastly outperforms it's rival Canon EOS 5DS. Though the autofocus system isn't quite as beefy as those offered in Canon models, it still performs very well, allowing you to obtain focus even when shooting in sub-par conditions. The Nikon D810 is also a relatively compact full frame camera, making it a versatile and easy-to-use option for all sorts of photographers. 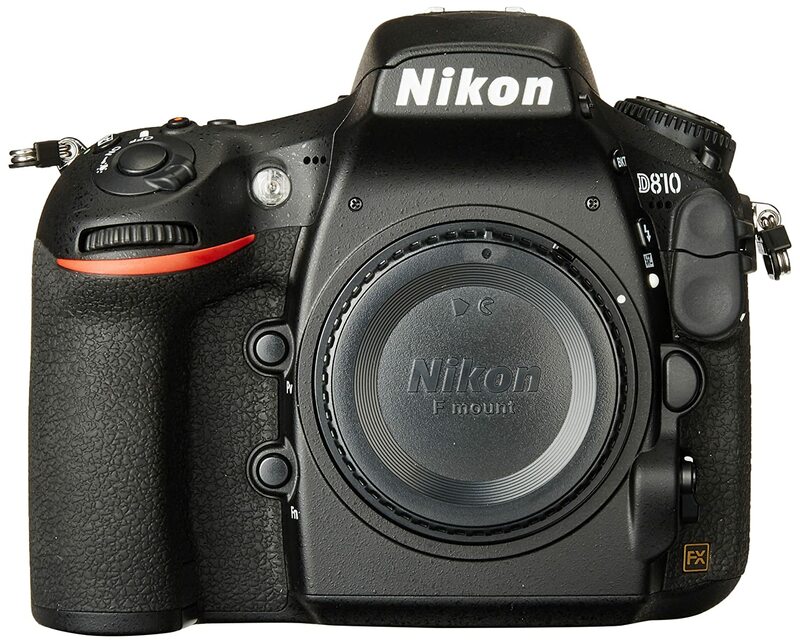 Read the full Nikon D810 review. As far as full frame cameras go, it's tough to find one as budget-friendly as the Nikon D750. With a 24.3-megapixel sensor, great image resolution, a top-notch autofocus system, and weatherproofing, that budget price doesn't mean you don't get a ton of features. Additionally, the D750 has improved video and metering capabilities over lower-tier full frame offerings while also having a good ISO range for shooting in varied lighting conditions. Where some full frame cameras aren't quite up to par with modern conveniences like a tilting screen and Wi-Fi, the D750 offers both. Though the burst rate of 6.5fps isn't anything to write home about, it's a small sacrifice to make for an otherwise all-around excellent camera. 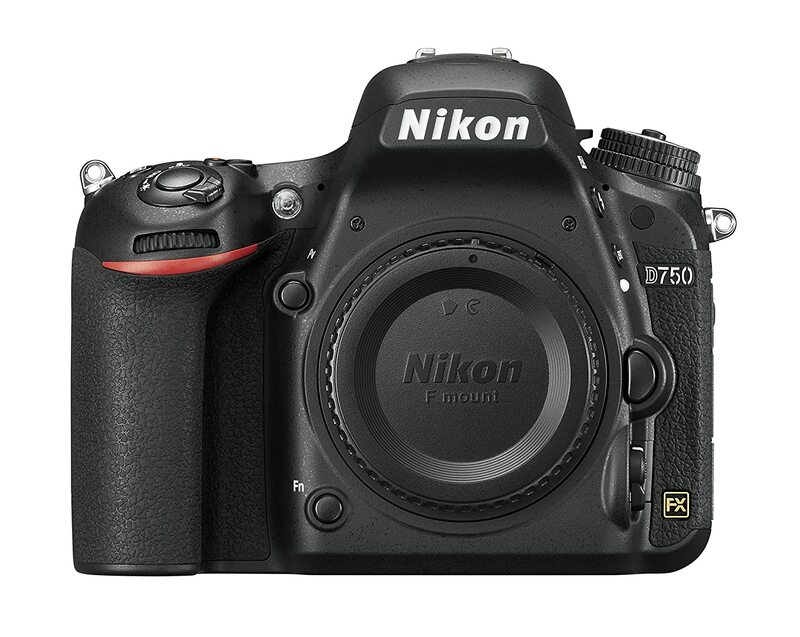 If you're an enthusiast shooter, it's hard to beat the Nikon D750. Read the full Nikon D750 review. 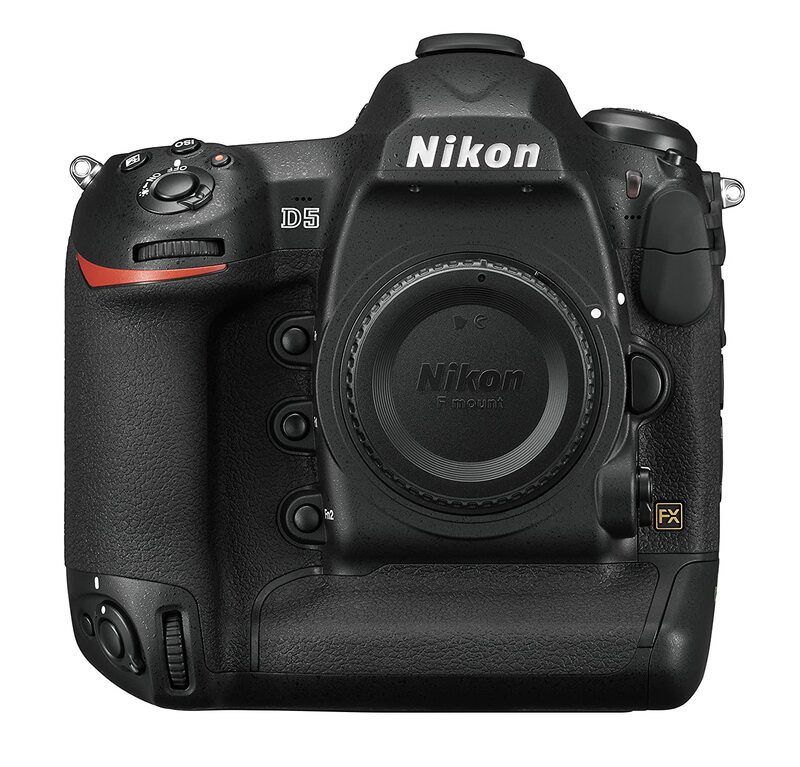 On the other end of the price spectrum from the D750 is Nikon's flagship model, the D5. Though the sensor doesn't have the resolution of other flagship cameras from Canon and other manufacturers, it makes up for it with other top-of-the-line features. But the true star of the D5's features is definitely the autofocus system, which sports 173 AF points, 99 of which are cross-type. To say that the D5 has the most advanced and highest-performing autofocus system available today is an understatement. The D5 has 4K video capabilities, though that's limited to a paltry three minutes. However, people that opt for the D5 typically aren't buying it for its videography applications, but for its still photography prowess. Pros: Incredible autofocus system, excellent burst shooting speed. Read the full Nikon D5 review.